These downloads are yours to keep. First up is the Blueprint Sample Meal Plan, followed by a handful of yummy, healthy and easy-to-make Recipes. 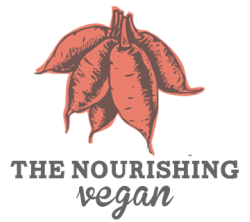 If you decide to join the 21-Day Vegan Blueprint you can expect more delicious recipes, practical meal plans, fun cooking videos, informative audio lessons and plenty of support. More information about the Blueprint program here. I’m looking forward to connecting again soon! Download your meal plan and recipes below.